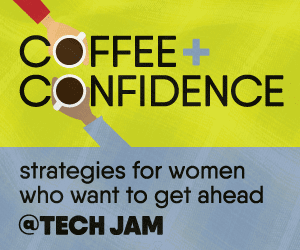 As part of the Vermont Tech Jam, Change The Story VT is hosting a special (free) event for women and nonbinary individuals of all ages on Friday, October 20, 2017 from 10-11:30am at Champlain Valley Expo. Participants will get tools and takeaways to help them pursue the tech field, interview for that next job, find a career that fits and negotiate salaries. Following a brief panel discussion, attendees may choose two mini sessions.